The optimal course of action to crack Railway Exams like RRB NTPC, RRB JE and RRC 2019 Exam is required to be full-fledged as the competition is fraught with maximum competency swarming over the exam for 35,277, 13,487 and 1,03,769 vacancies respectively. Let us recall that the RRB NTPC 1st Stage CBT is tentatively scheduled from June to September 2019, RRB Group D is to be conducted in the months of September and October 2019 while exam dates for RRB JE 2019 are yet to be disclosed. 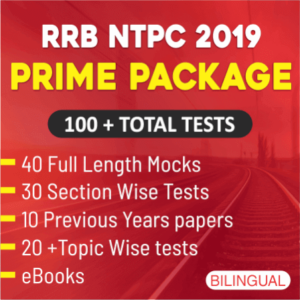 General Awareness with 40 questions is a leading section in RRB NTPC 2019 Exam and also holds extreme importance in RRB JE 2019 Exam with total of 45 Questions including General Science. That’s why a timely preparation to cover the vast syllabus of the implied subject is the foremost step to make great strides in the exam. General Awareness, in many aspects is a different task to deal with. You don’t have to solve questions based on particular formulae, tricks or methods. But you have to push your memory to serve you correctly. And to do so, learning by the means of a visual mode is the most effective action taken to not let your memory ditch you in the hours of need. 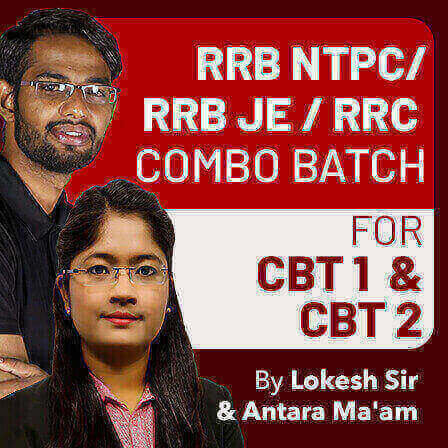 To set our team’s efforts directed to provide you a comprehensive platform for the best preparation for RRB NTPC 2019 Exam, RRB NTPC/RRB JE / RRC COMBO BATCH for CBT1 and CBT 2 By Antara ma’am and Lokesh sir (Live Classes) is an another guide for all RRB NTPC 2019 Exam aspirants to let them outshine in the exam. To make the best of our RRB NTPC/RRB JE / RRC COMBO batch to be started from 24 April 2019, medium of teaching will be Bilingual and the content has been developed in English. At just Rs. 1,999 RRB NTPC 2019 Exam RRB NTPC/RRB JE / RRC COMBO BATCH for CBT1 and CBT 2 By Antara ma’am and Lokesh sir (Live Classes) online batch fulfills all your expectations to the core with its best teacher faculty of ADDA247 forwarding an outstanding approach to deal with General Awareness for RRB NTPC 2019 Exam and makes it pragmatic in the immediate attempt to reach your goal of cracking RRB NTPC 2019. At just Rs. 1,999, this online live batch will make you a master in General Awareness Section for RRB NTPC 2019 Exam to beat the competition at an ease. 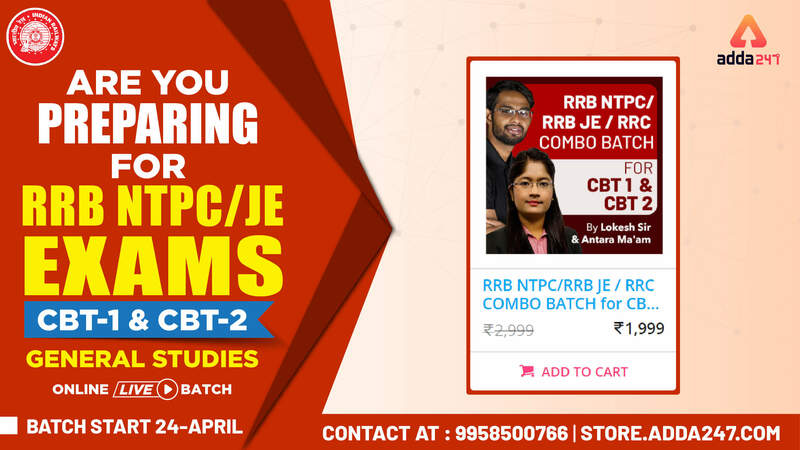 Don’t forget to subscribe for RRB NTPC/RRB JE / RRC COMBO BATCH for CBT1 and CBT 2 which ensures to take your GA preparation to an another level of heights. On subscription, you will get a plethora of new pattern videos by our General Awareness expert Antara ma’am and Lokesh sir, who with their tactics and long term experience will cause you make the grade to face RRB NTPC 2019 Exam boldly.